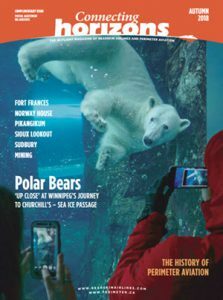 Connecting Horizons is “on board” more than 750 flights weekly to 33 destinations in Ontario and Manitoba on both Bearskin Airlines and Perimeter Aviation reaching over 250,000 business professionals annually with your advertisement! 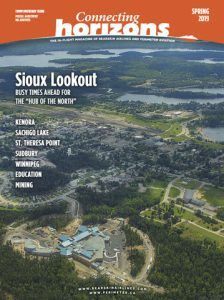 Formally Bear Country, the magazine educates our readers about the cities and communities we serve promoting events, tourism and economic development reaching all levels of government employees, Indigenous groups, business owners and management personnel in a variety of sectors including forestry and mining, education, healthcare, communication and technology among others. 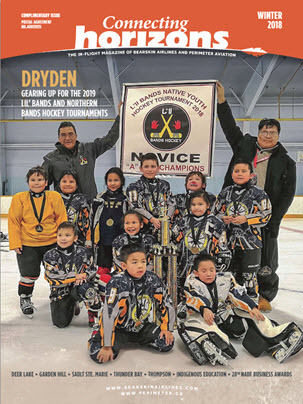 Published quarterly in a full colour glossy format, each issue circulates for three months targeting a captive audience with its seatback presentation. Supplementary circulation is provided by Canada Post. For added value Connecting Horizons can be viewed online at www.bearskinairlines.com and www.perimeter.ca. Digital ads have a direct link to their websites. We invite you to join us as we deliver a regional message of unparalleled visibility to people on the move in Connecting Horizons! 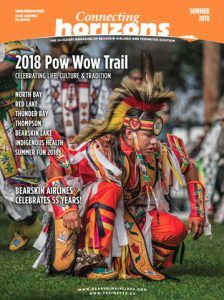 If you have not yet advertised in Bear Country/Connecting Horizons, ask about our introductory offer for first time advertisers.